It has become an annual October tradition: on Halloween night every year, the Walt Disney Concert Hall in downtown Los Angeles screens a silent horror movie with live musical accompaniment. 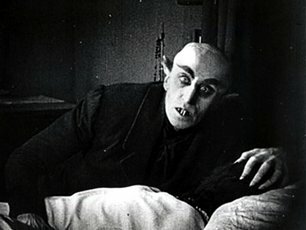 Titles range from The Phantom of the Opera to Nosferatu to Dr. Jekyll and Mr. Hyde to The Cat and the Canary; the real appeal, however, is the chance to see the films back by a live "soundtrack" performed on the concert hall's house organ. The event's official website encourages you to come experience "sonic thrills and visual thrills."